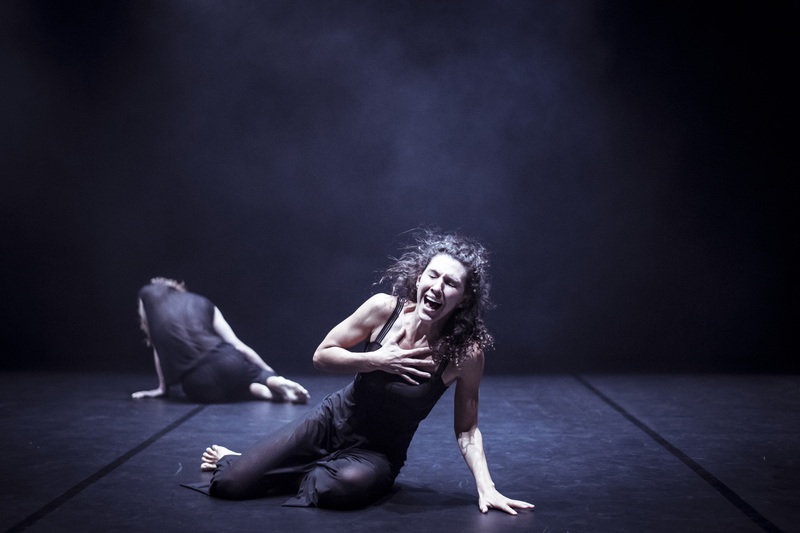 Skeleton Tree (created and choreographed by Stephanie Lake) is a powerful collection of dance pieces on the themes of death, loss and grief. Set to a 'funeral playlist' of songs, each of the 13 works (performed by Marlo Benjamin, Nicola Leahey and James O'Hara) shows its own standalone story, transporting the audience to different worlds with subtle changes in costume, lighting and style. The show begins with a piece called Final Bow, set to the sound of pre-recorded applause, as if at the end of a show. From the very beginning, the show invites reflection on endings and death in a new light, rightly separating the multitude of emotions associated with this event and displaying the richness of experience around it. 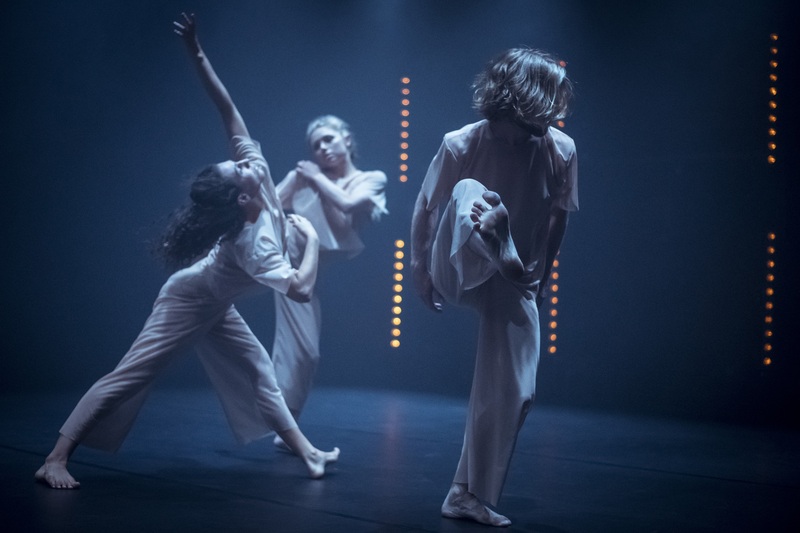 The show progresses into other metaphorical images of death and the roads towards it, bringing the impending end into focus in all of life - the passing of time, the experience of relationships, and indeed every breath we take. The dances were masterfully choreographed with beautiful stylistic variations between pieces. 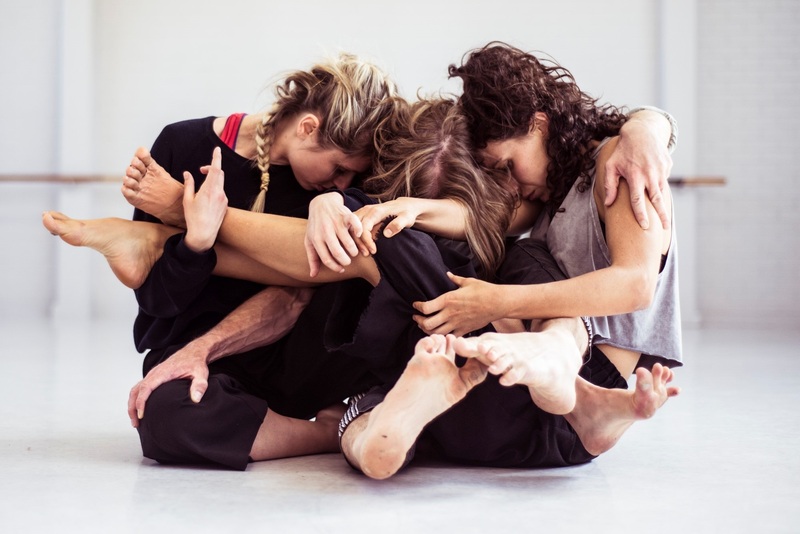 The performers' bodies moved effortlessly through the space, clear in their intentions and impactful in their interactions with the music, the audience, and each other. Some of the works were designed to appear mechanical and readable, employing generous use of repeating choreography and tech patterns, while others more abstract and free-flowing. Each type was effective, and felt like a poetic expression of truths in a foreign language - it was abstract, it was non-verbal, and every person in the audience would take away something different from the experience. But each work was also visibly consistent with itself, and seemed to have an objective meaning even if that meaning wasn't always entirely clear to people reading the performance as outsiders. In one work, the performers came together in a tangle of bodies, each with a life of its own, but so intricately linked to each other that it seemed to tear them apart would cause the death of the whole. In another work, vertical lights along the sides of the stage worked together with beats in the soundtrack to send cues that felt like electrical impulses received in the bodies of the dancers, and for me painted a devastatingly powerful picture of people being tormented in the space, accelerating towards extinguishment. This work flowed into another haunting work reminiscent of a medical post-death scene, where two performers engaged actively with the third, who lay passive, presumably deceased, between them. The two transacted with the third in a respectful but almost invasive manner, showing a more confronting side to death, a side where practicality must, for a time, take precedence over emotional processing. There were also emotionally moving works that depicted grief in the freshness of loss, and the difficult process of letting go. The technical aspects of the show beautifully complemented the choreography and performance. The smoke/haze effects created a distance between the audience and the performance which added to the metaphor and poetry of the work, and Niklas Pajanti's lighting design transformed the space between and within works, which gave the space a dramatic and distinct look and feel in each piece, in spite of the stage being otherwise bare. Darkness was used as effectively as light, and silence as effectively as sound. The show closed with a delicate image: glitter falling off the final performer's costume, like fairy dust being sprinkled across the stage at the very end. It was a fitting close, which encapsulated this experience as a new perspective on all that death and endings can be. For a topic so heavy and potentially full of despair, Skeleton Tree contained a surprising amount of beauty and hope, and exalted the richness of experiences that we sometimes miss simply because we forget they're there.